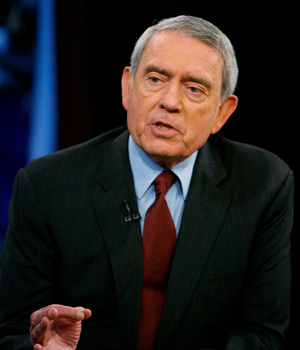 In a speech at the Aspen Institute, Dan Rather called for a White House commission on media reform to make recommendations on saving journalism jobs and creating new business models. At stake, he notes, is democracy itself. I applaud Rather for thinking big and agree with his sense of urgency. Untold damage already has been done to our democracy during the death spiral of journalism, and my sense is that we are on the lip of the drain. When ideas like euthanasia for elderly in healthcare reform and secret alien births of our president can rapidly catch hold, we are in a red zone. When we can go to war and remain at war for years with no serious journalistic analysis of its rationale, its goals, its progress, or its costs, we are living the Orwellian nightmare. Still, there already is backlash from government haters and journalistic purists, who believe that news gathering and government can never mix. (This despite the continuing leadership of NPR and PBS in broadcast journalism here, and the BBC’s superb performace on a global level for generations.) Rather has a fallback if the government connection proves too hard to swallow — a private organization like the Carnegie Foundation could step up.